National Initiative for Developing & Harnessing Innovation (NIDHI), a programme to address the complete chain of innovation ecosystem right from scouting to mentoring to scaling up innovations. launched by DST. 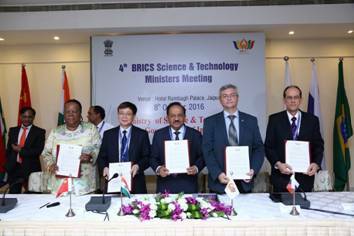 Establishment of a research park at IIT Gandhinagar has been supported at a cost of Rs. 90 cr. 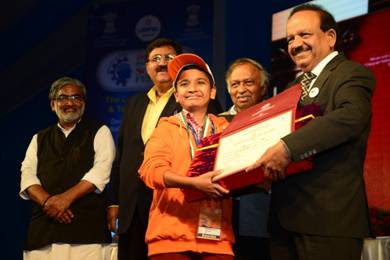 The National Award for the successful commercialization of indigenous technology was presented to SMITA Research Lab, IIT Delhi for the commercialization of N9 Pure Silver by , the Hon'ble President of India, during the Technology Day function on 11th May 2016. Technology was jointly developed by M/s RESIL Chemicals Private Limited and ARCI, Hyderabad under Nano Mission of DST. A new programme on Interdisciplinary Cyber Physical Systems (ICPS) to foster and promote R&D in this emerging field of research has been launched. A Cyber Physical System (CPS) is a mechanism controlled or monitored by computer-based algorithms, tightly integrated with internet and its users. It is an engineered system that are built from and depend upon, the seamless integration of computational algorithms and physical components. DST constituted ‘Standing Committee for Promoting Women in Science’ to address a low representation of women in Science & Technology (S&T) domain. To provide opportunities to women scientists and technologists for pursuing research in basic or applied sciences, 227 projects were recommended for support. Twenty nine projects to women scientist were supported for finding out solutions to challenges/issues at the grassroots level for social benefit. To create opportunity of self employment and/or also sustainable career for the women scientists, one year internship in the domain of Intellectual Property Rights (IPRs) to 111 women was provided during the year. 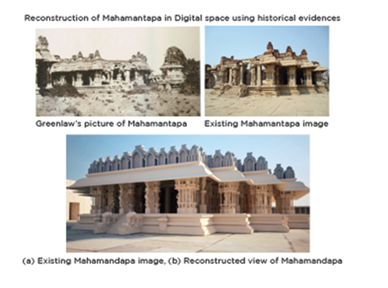 Technology demonstrated for cyber-digital-physical reconstruction of Hampi heritage structures. Plans for covering 100 monuments are under formulation.